Wave it off with the smile. Introducing the D Weddings ABCs of Etiquette: Sure, you can flip through Emily Post’s bible of good manners, but what do Dallas brides, planners, and guests expect when it comes to local wedding etiquette? Dallas wedding experts tell us how to graciously navigate every wedding-day situation. Yes, it is your day. But how do you make decisions graciously without offending your grandmother or mother-in-law in the process? “We like to tell clients that, often, other people like to feel like they have a horse in the race, but that doesn’t have to mean that their horse has to win,” says Krisi Johnson from GRO Floral & Event Design. “We try to keep brides from getting too focused or sidetracked with trying to communicate confirmation or rejection on every single idea that is mentioned. A lot of times family likes to be a part of the process, and as long as you are giving everyone a chance to talk and feel heard, that is what matters. 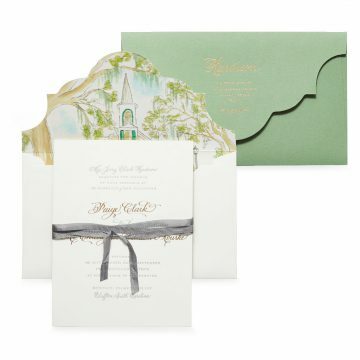 Once the vision of the wedding continues to develop, the best ideas still come to fruition.” In other words, listen, smile, tell Aunt Judy that you love to hear her ideas, and continue on with the aesthetic that you want for the big day.